Extra vuvuzelas for our Saturday Agito skit. 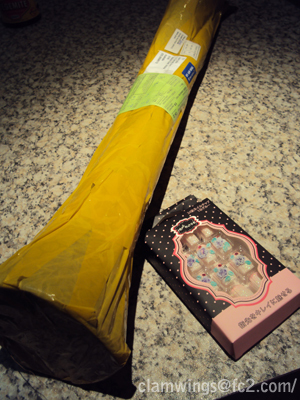 And bling-y rose nails for Sheryl Nome, but they'll be waiting there for 'next time', now. In addition to this, a major wig order including wigs for Manifest arrived just a few day ago too! 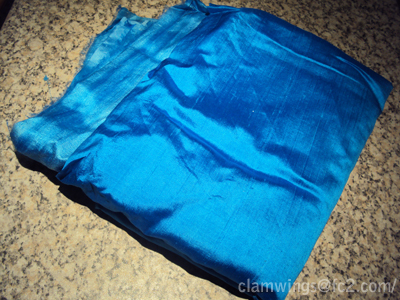 What has arrived on time though, is this gorgeous blue sari fabric that I've had imported from India for my (surprise-ish) costume at Main Animania in two weeks! I think I would've preferred it to be a slightly brighter turquoise blue for accuracy's sake, but it should still work beautifully - can't wait to start playing with it! What's everyone else had arrive for costumes just after it's been needed? 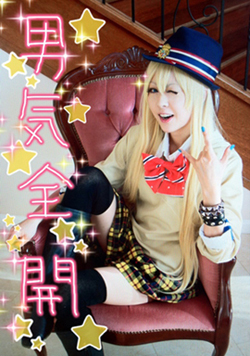 And now for something a bit different from the usual cosplay-costumes! Calisthenics has been a huge part of my life for 16 1/2 years now, it's been that one constant that I can always rely on. 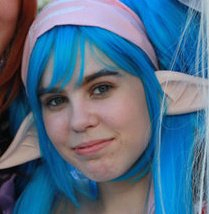 This year, I'm in one of the biggest teams I've ever been in, and with more competitiors, comes more costumes! The costumes that I've been working on are for a parody of Les Miserables and have been a real delight to work on. Semi-WIP. The green one to the left was actually a costume that I made for the same item a few years ago. 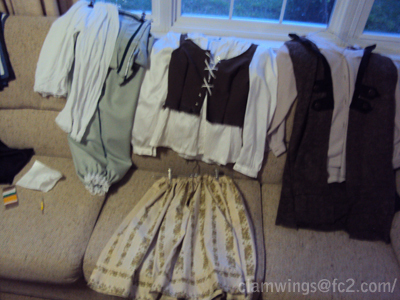 It consists of a faux-corset, chemise, pantaloons, waist sash and a partially-destroyed hat (not seen). Finished girl's costume. 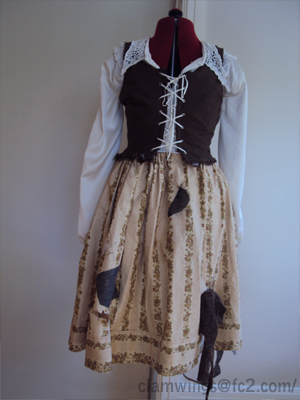 Faux-bustier (suiting), tea-dyed/coffee-stained skirt (cotton) and vintage blouse (beautiful *_*). 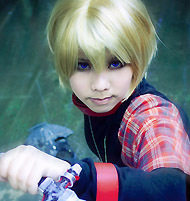 Finished boy's costume. 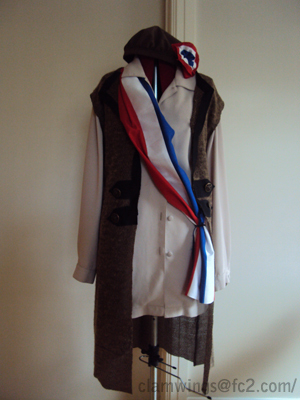 Vest-jacket (stretch-knit with bias detail), vintage shirt, beret with rosette and patriotism!sash. I can't even begin to say how much I enjoyed working on these. 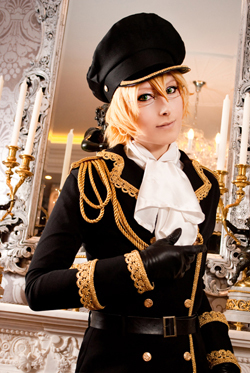 It was so refreshing and a real enegiser to the ammount of cosplay-costumes that I've been making this year. I had a lot of fun using fabrics I hadn't seen in a while, as well as having the ability and freedom to alter the design however and whenever I liked. The only real constraints are that they had to be relatively easy to move in, and because of the nature of the performance, tiny details would be wasted, so everything does need to be large and chunky. But that really didn't hinder me too much, and I think they turned out pretty nicely!